Welcome to the world of you! 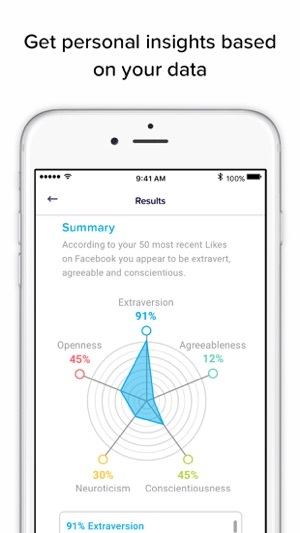 Is your Facebook persona the real you? How do you compare to people like you? 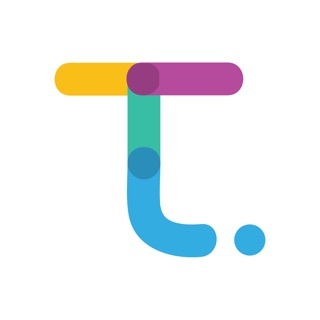 Earn cash for sharing with brands, anonymously. 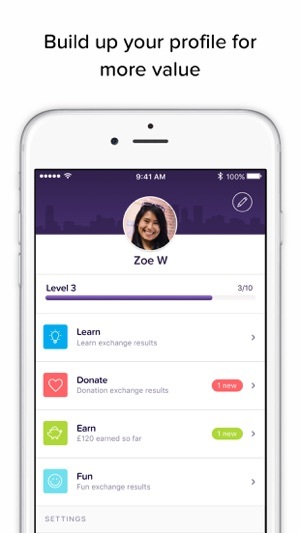 With citizenme, you can take control of your data and, importantly, get value from it. 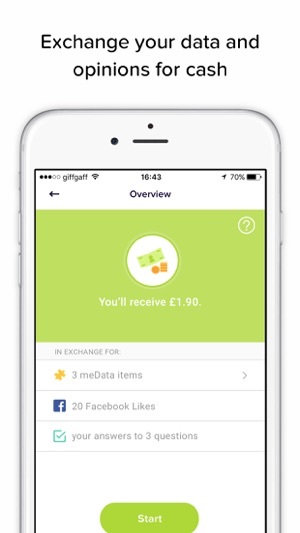 CitizenMe earns you money for sharing your data and opinions anonymously with brands. 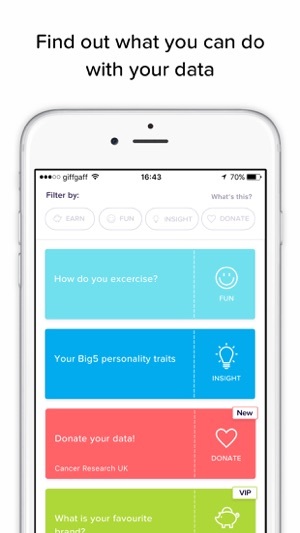 Personality insights are designed by our very clever scientist friends at Sheffield and Cambridge Universities and more. Your identity will never be shared, we’ve always got your back. I’ve had this app for over a month now and have received one paid survey right at the start for £.15. The app won’t let me connect to Facebook or any other social media also. Now it won’t let me sign in. It force closes as soon as I hit sign in and a banner runs across the screen to check my internet when I have full service. I’ve had this app for a week. There have been no paying surveys at all so far. The only available surveys are so-called “fun” ones that don’t pay a red cent. So basically, they want you to work for nothing. No, thanks. Deleting this app and leaving a bad review!